I’ve been trying to fix this for a while, no idea how to do it. I’ve tried making a collision group between NPC’s and all the BaseParts in workspace, but still doesn’t work. Tried setting all parts to can collide true, still nothing. Any fixes? If you’re talking about the parts clipping through the ground (the arms and the legs), you have to make invisible parts and weld it to them. The legs/arms can never be un-collidable, it’s a humanoid thing. Edit: You can also re-name the legs/arms to something else too and then colliding after that. It may be caused by the script can colliding the wrong parts. You can’t duplicate the person so if you are creating a new model to contain the cloned parts it may be that you are making the original part cancollide instead of the new ones. For my game with ragdolls I just set all the limbs to CanCollide true when the rig is ragdolled, and then switched them back to normal collision when getting up. The humanoid ragdoll state makes all limbs collideable. Maybe if you force the humanoid to always remain in it’s ragdoll state it will work. 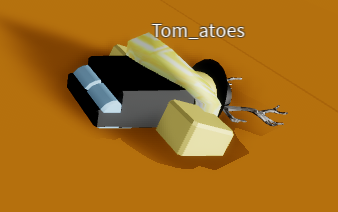 I’ve tried it before and it worked, one weird thing is that Roblox sometimes automatically disables the ragdoll state after a amount of seconds causing the limbs to clip through the ground again, not sure why that happens and haven’t found a solution for that yet. If the ragdoll state doesn’t work then try what someonedie suggested. I knew about this state, but didn’t know what it was for. Thank you so much! Roblox wiki says that ragdoll state is activated when the humanoid is hit by a huge and fast moving object or something. But you can also manually activate it, it causes the humanoid to stop moving and makes all limbs collideable.